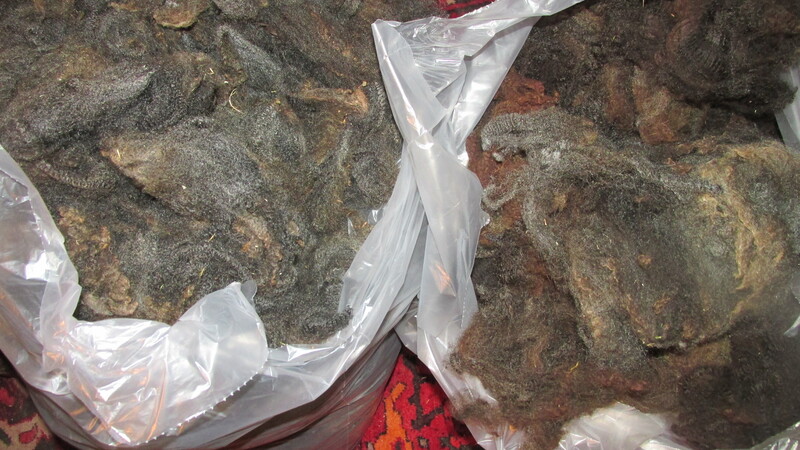 I have finished 2 bags but that still leaves 3 fleeces to do. I am listening to Enya and Clannad so the time goes by quicker. It has also given me time to think about the shearing process. I definitely have to make sure there are no shavings on the floor the day before the shearing. And I have decided that I really don’t need coats for the sheep. With Marley I think I will trim him the end of August. That will keep his fleece from getting so rag/tag looking. Morticia really would like to get out of the crate and I have been letting her out by herself during the day. 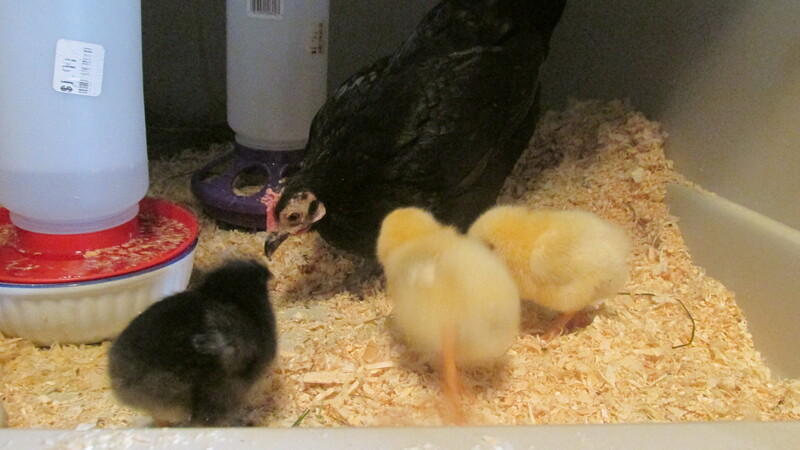 The chicks are still too small to put in a coop. I think I will put them into the back coop in a couple of weeks. It needs to be throughly cleaned and some perches closer to the ground put in. The little ones have had some clover and other foods. They love riding on Mama’s back. All the short pieces of wool go into a bag and i usually spin them and make socks. Lots of people just throw these pieces away They are quite useable. 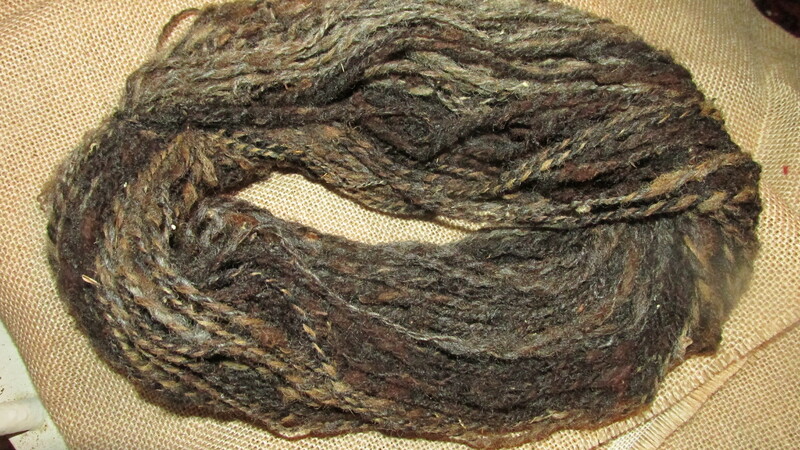 I spun up a skein today and I like the look of it. I may do mittens or a scarf with it. The black wool is very fine and soft. Good listening choice! Love Enya! Nice looking wool too. I do love Enya I can close my eyes and feel like I am in Ireland. 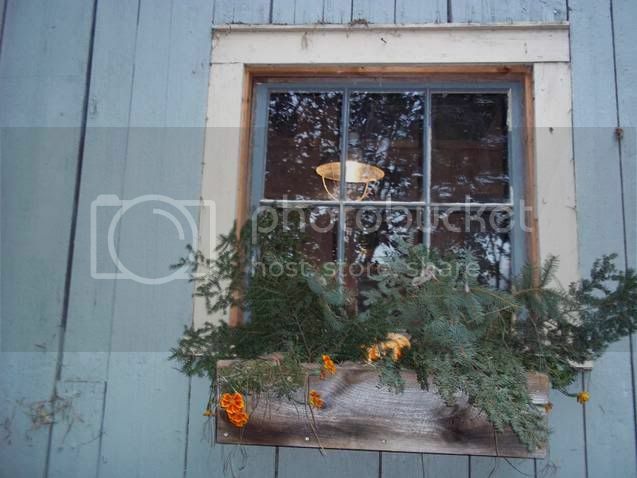 I can’t wait to get my wool sent out and get yarn back. Glad Spring is in Ireland, Its slow to come here. The daffs are just coming up. Blue bells are out here now Carole, lovely!. Don’t forget to save all your soiled wool as slug protection or around plants as a slow release fertiliser.